Your child will always be surrounded by loving, caring nannies, who will embrace your child’s uniqueness and individuality. 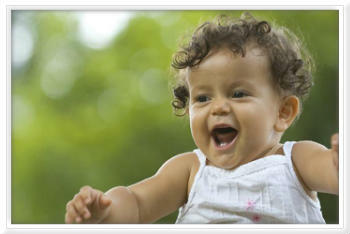 Our Los Angeles and Orange County professional nannies are gentle, creative and hard working. “Many of our nannies adhere to the principals of the R.I.E. philosophy which is a plus”. Parents are always amazed at how our nannies have such a great rapport with their children. A nanny is dedicated to a child’s care, one who works in a parent’s stead and whose focus is your child; he/she is a role model for your child and an integral member of your family unit. A nanny may work full or part-time and may come to work daily or live in your home. A nanny should support and respect the parents’ child-rearing values and provide an atmosphere that is both structured and disciplined. All of our nannies have experience working with newborns, infants, toddlers/preschoolers or school-age children. Many of our nannies are college educated with degrees from Bachelors, Masters, or PHD in concentrated fields such as education, early childhood development, child psychology, and medical. We also have our “sensitive nannies” who are experts in the field of working with special needs children. Staying abreast of current activities in the area of child development through continued education is what helps a nanny become highly qualified to help your child progress. Our nannies are encouraged to be creative, fun-loving, and approachable which is conducive to a thriving learning environment. A nanny may perform some housekeeping chores related to your child’s care, such as laundry, ironing, cleaning, cooking, running errands or grocery shopping. At your request, they could assist with bath time, ensure naps, help with dinner, or help with homework. They may be involved in the transportation of your child to the park or other outings, such as the doctor’s office, or to and from school and/or extracurricular activities. Many nannies may even accompany families during vacation. Should you have a need of a nanny with the ability to swim, we will help you find one. All nannies are CPR and first aid trained. Whatever degree or level of involvement your nanny will have should be decided upon mutually before your contract is signed, and before your nanny’s employment begins. Remember, a nanny is an integral part of your family unit, one who works long hours, promotes a happy, healthy and nurturing environment for your child, and one who should never be taken for granted, but treated with the utmost respect!